Python inventor Guido van Rossum is known to have a good sense of humor and probably had a good laugh when he heard about the Guido van Robot project. If you are learning how to program, or would like to teach others, this software gives you a light-hearted introduction. Perhaps you've heard of Python creator Guido van Rossum, but you might not be familiar with Karel the Robot. Almost 30 years ago, Richard Pattis invented a robot called Karel and presented him to the general public in his 1981 book Karel the Robot: A Gentle Introduction for the Art of Programming . This virtual character has the advantage of living in a simple world in which his biggest challenges are maneuvering around obstacles – namely, walls – and picking up beepers. To tackle his tasks, Karel can be programmed in a simple language with an understandable instruction set and without variables. The original Karel the Robot programming language was based on Pascal, but many variants have been invented since then to give learners a simpler approach to other programming languages. One of these variants is Guido van Robot, a character in the long-standing tradition of simulated, programmable robots, whose task it is to introduce newcomers to Python  (Figure 1). As a tribute to Python's Dutch inventor, Guido van Rossum , the students who programmed the Python teaching language in 2001 called it Guido van Robot . Version 3.3 is now available. 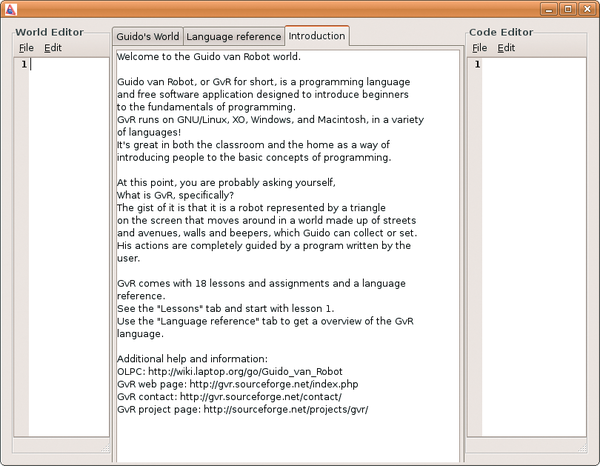 Figure 1: Guido van Robot makes the world of programming more easily accessible by providing an interface and a language of its own, based on Python. Guido – the robot that is, not the Python inventor – can understand five commands: move, turnleft, pickbeeper, putbeeper, and turnoff. The first two commands tell the robot to move or turn left; pick and put tell it to pick up and drop beepers, and turnoff quits the program (Figure 2). 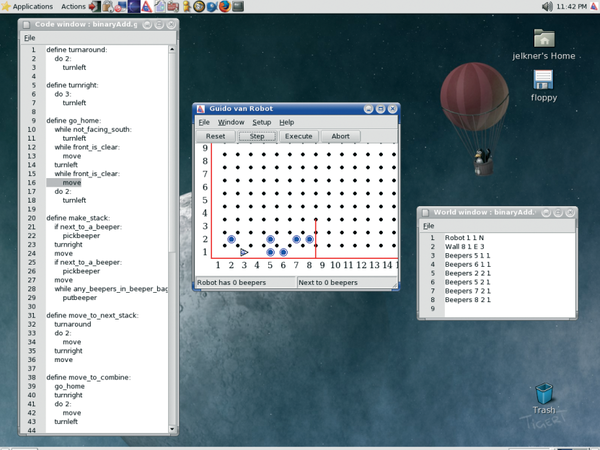 Figure 2: The Guido van Robot programming language running on Linux. The robot understands five commands: move, turnleft, pickbeeper, putbeeper, and turnoff. Besides the imperatives listed here, Guido – like most other programming languages – gives users loops and conditions. The latter are introduced by the key words if, elif, and else; the while key word supports conditional execution. The do X command tells Guido to repeat the following command block a certain number of times. To be able to react to its environment, Guido van Robot uses 18 test instructions to explore its world, including front_is_clear, left_is_clear, right_is_clear, and front_is_blocked, that define the existence of walls. The objects lying around on the playing field are referred to as beepers. The instructions next_to_a_beeper and any_beepers_in_beeper_bag and corresponding negatives tell Guido where the beepers are. What makes Guido van Robot so attractive to newcomers is that the environment has its own interface, comprising the Code Editor, World Editor, and Guido's World area. Python newcomers can watch their robot tour the world while their program is running. What Guido van Robot now lacks is an environment through which the program can guide him. Fortunately, the software package includes three worlds: boring, escape1, and maze1. The first lacks barriers, which is a good thing in normal circumstances, but here, its lack of events makes it unsuitable for testing algorithms. escape1 is a more interesting prospect; a world that comprises a room with an exit. Trying to get to the exit as quickly as possible is a more useful programming task. The third environment is a small maze, as you might have guessed from the name, maze1, in which Guido finds the first beeper. If you want to set your robot on more ambitious tasks, you easily can define your own worlds. For this, the World Editor understands the WALL command. In a similar way, you can use the Robot keyword to set the starting position for Guido van Robot. To feed the robot in your world, you need to use the Beepers keyword to lay a trail of numbered beepers. The first two arguments define the position of the object and are followed by an arbitrary number that the program uses to label the beeper. After designing a world and writing a robot program, you can press the Execute button to launch the robot. The code editor highlights the current line, making it easy to follow loops and conditions. If everything is happening too fast for you to follow, you can press the Step button to step through the instructions one by one. If you are familiar with Python or any other programming language, you will easily master programming Guido van Robot and its numerous relatives. Programming the robot can be fun even for serious programmers. The effortless way in which you can maneuver the robot through small worlds is a rewarding experience. Of course, Guido van Robot is suitable for teaching, which is what the project is really about (Figure 2). If you never have tried programming, this gives you a fun approach to the buzz language Python and could be your ticket to entering the wacky world of coding. Python paterfamilias Guido van Rossum has proposed a multi-year moratorium on the scripting language: no more grammar or semantic changes. The GoPiGo3 kit provides components and software for a small robot car with a Raspberry Pi brain. At the end of April, Aldebaran Robotics let their 57cm-long humanoid Nao robots loose on a human audience of mostly open source developers. The robots possess 25 degrees of freedom, a child’s gaze, and anthropomorphic interactions.